The company had a sports ground in Cannock Road, Wolverhampton, which had a large pavilion, sports pitches, lawns, and flower beds. The pavilion was normally divided into three sections with movable partitions. The end sections were changing rooms for men and women, and outside was a wide veranda, below which people could sit and view the sports pitches. The partitions were sometimes removed to leave a large space that was used for dances, whist drives, and teas etc. In the middle of the pavilion, in a deep recess was a well-equipped kitchen that could supply food and drink for every occasion. The pavilion, the lawns, and flower beds. 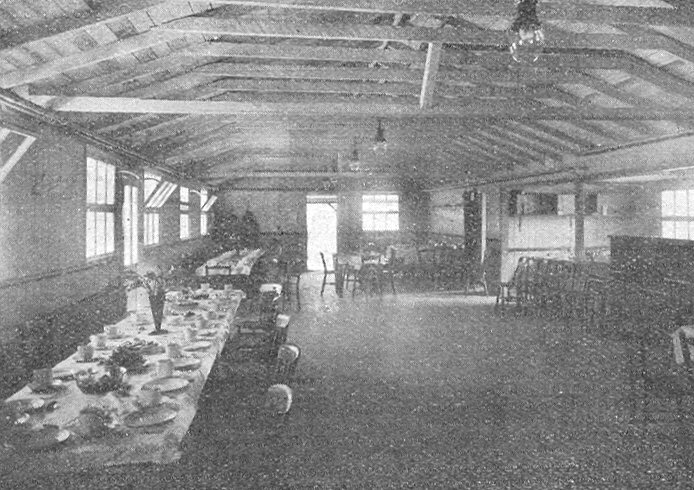 The interior of the pavilion with tables laid for tea. There was a works' football team that played in the local works' league and was very successful. There was also a hockey team, a bowls team, tennis teams, cricket teams, swimming teams, netball teams, a cycle team, snooker and billiards competitions, darts and dominoes competitions, fishing competitions, and table tennis competitions. 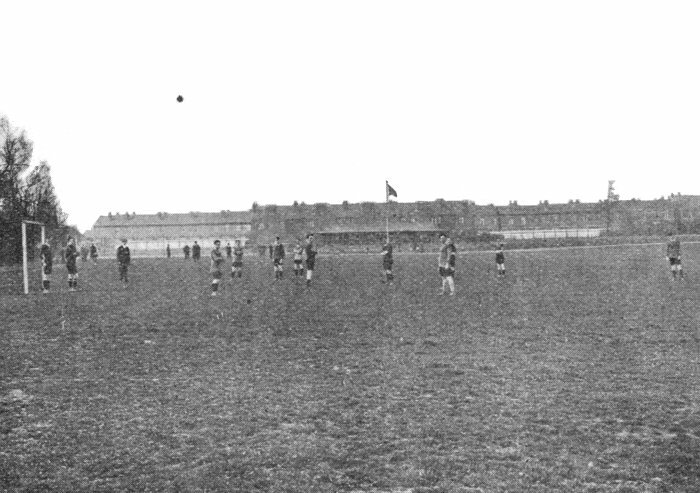 A view of a football game in progress on the football pitch, which was next to the hockey pitch. 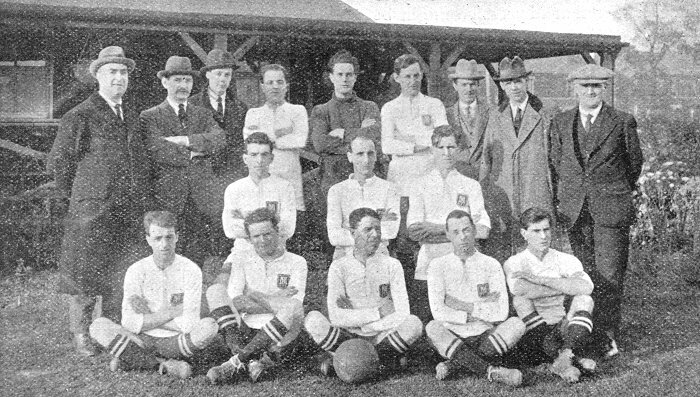 The extremely successful 1922 works' football team. Back row left to right: H. Turner (Chairman), H. Barnett, R. Barnett, Harold Rogers, Joe Burgess, Bert Dance, Harry Weaver (Hon. Secretary), Clarence Larner, and Arthur Adey (Trainer). Middle row left to right: Harry Billson, Frank Dodd, and Joe Jones. Front Row left to right: Frank Payne, George Miles, Tom Rogers, Frank Bentley, and Bert Aris. 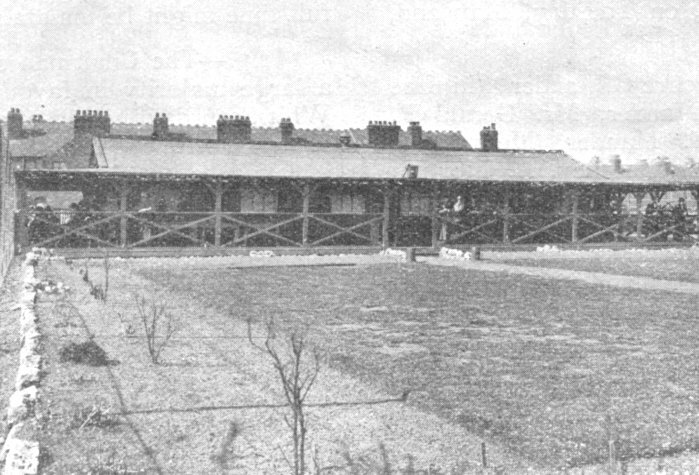 Manders' welfare club committee had monthly meetings at the John Street Staff Canteen. They organised sporting competitions, dances (via the dance sub-committee), annual works' outings, the children's Christmas party, the photographic club, and drama productions. The old pavilion was rebuilt in 1958. The new building opened in May of that year.